Internal narrowband filters allow for a <2.4 Angstrom bandpass. Primarily an imaging system due to the difficulty of many to visually see everything that CaK has to offer. 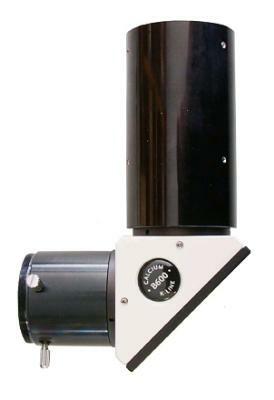 For telescopes up to 100 aperture and 1800mm focal length. Click the button below to add the Lunt Solar Systems Ca-K 2" Straight Through 18mm Blocking Filter in Extension Tube w/T2 Connection to your wish list.